Species conservation projects such as ours would not be possible without the participation and support of passionate volunteers, researchers, educators, and donors. Dr. Matt SHIRLEY is the director of Project Mecistops, acting as the liaison between activities in the field and activities in captivity, as well as providing the institutional link to our many partners. 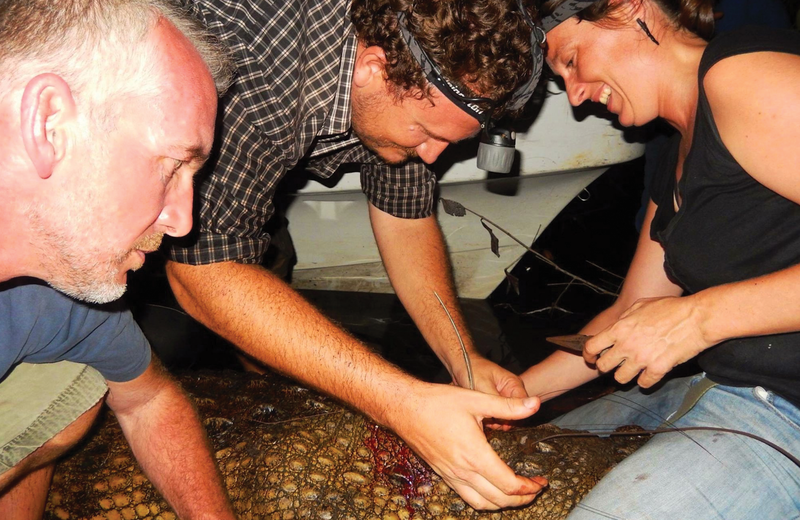 Matt has been studying crocodiles throughout West and Central Africa for over a decade. He has surveyed crocodiles in 13 different African countries, many of which had either never been surveyed for crocodiles previously or hadn’t been surveyed in over 20 years. Throughout these surveys he collected the genetic material needed to conduct studies on the systematics and molecular ecology of African crocodiles, including providing the critical evidence for recognition of highly divergent species within each of Africa’s three crocodile genera (Mecistops , Osteolaemus, and Crocodylus ). 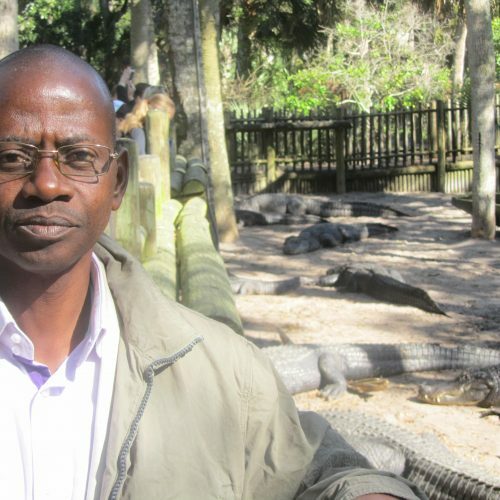 Dr. Shirley is the Chairman for the West and Central Africa region of the IUCN/SSC Crocodile Specialist Group, of which he is a member since 2008. Dr. Emilie Fairet is an anthropologist with a interdisciplinary background including biological and social sciences. She has been working in Africa since 2004 and has long focused her research on the ecology, behavior, and habituation of African primates, especially great apes. Later, and with the realization that conservation issues are inevitably linked to human pressures, she trained in the human and social aspects of conservation. More specifically, Dr. Fairet is interested in the relationship between humans and wildlife, all too commonly referred to as human wildlife conflict. She has been a member of the FAO Working Group for the Development of the Toolkit for Human-Wildlife Conflict Management in Central Africa and has a particular interest in socio-ecological approaches to biodiversity conservation. Apart from the Project Mecistops, she is coordinator of the WCS program in Congo Brazzaville since 2017. Zoh (pronounced just like the French word for zoo – coincidence?) began working at the Abidjan National Zoo in 1998. Prior to working at the Zoo, Zoh was a florist organizing flower arrangements for people. At the Zoo he first worked with the primates until 2000, when he became a crocodile keeper. When asked what he finds most interesting about crocodiles he immediately replies that he finds their ability to use the environment to thermoregulate fascinating. Despite our best efforts, however, Zoh claims his favorite species is actually the dwarf crocodiles – we’ll win him over yet! 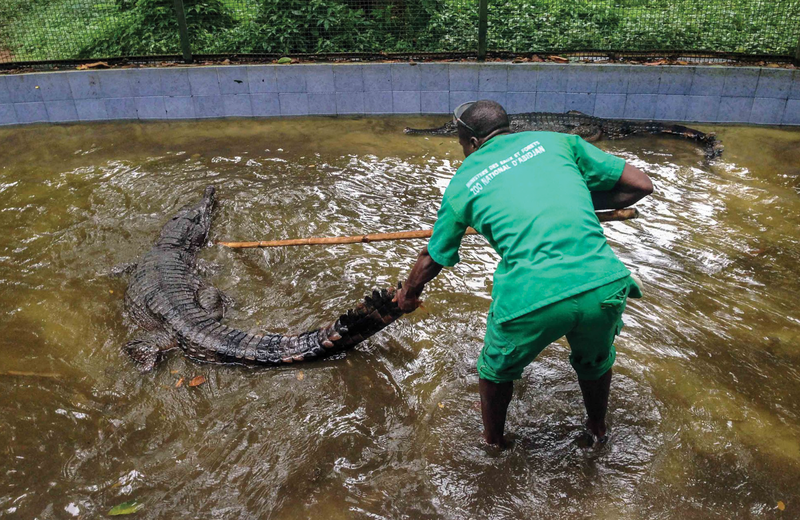 After 20 years working with the three crocodile species in the Zoo, Zoh says with a smile that, despite having a healthy dose of fear initially, they have become his passion. 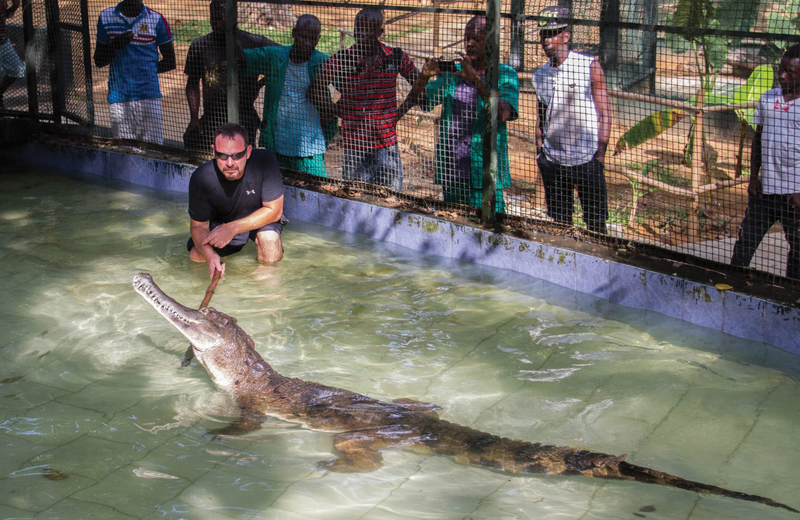 And, especially after working with the many captive crocodile professionals that have come to Côte d’Ivoire, he’s been inspired by the passion in these people and is happy to be part of the crocodile community! Monin began working at the Abidjan National Zoo in 2006. Prior to working at the Zoo, he was a land surveyor in Abidjan. Monin says he was originally attracted by the offer to work at the Zoo because he loves animals. He originally started as an elephant keeper, though after 1 year he became a member of the crocodile team. When asked what he likes most about the crocodiles, he claims it is watching them eat! He is fascinated by the loud, effective violence. He says that after nearly a decade with these animals they have truly become a part of who he is and, finally, he appreciates knowing how to work with the crocodiles safely and securely. Monin looks forward to further station training and controlled feeding as part of educational displays at the Zoo! Irie came to the Abidjan National Zoo in 2005, before which he followed an apprenticeship in metal work and welding. At the Zoo he worked with the antelopes before becoming the lead pygmy hippopotamus keeper. He joined the crocodile team in 2013. Since joining the project he says he has developed a real connection with the animals and has really appreciated learning how to work with them in a way that minimizes their, and his, stress (see photo). When asked one thing he finds most impressive about crocodiles he quickly replies their dominance displays, like jaw clapping and head slaps – which he says both inspires fear and awe in these wondrous creatures! 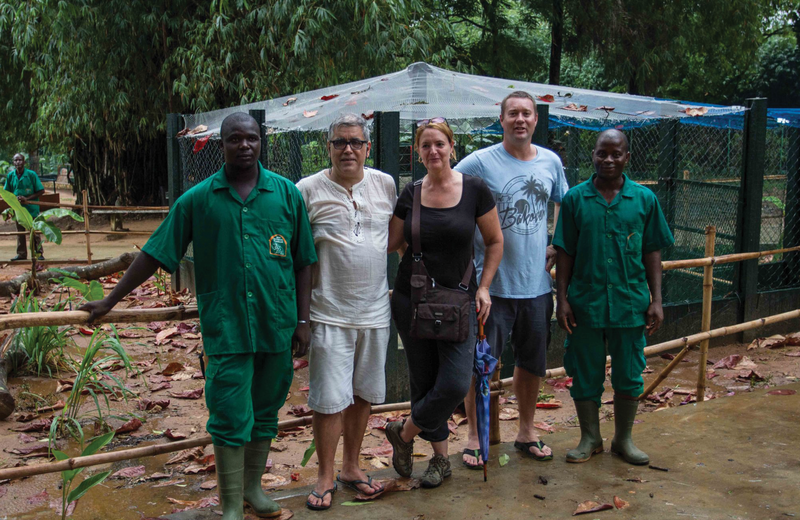 Digbé is the focal point for communication and coordination between Project Mecistops and the Abidjan National Zoo to ensure the success of the captive-breeding program. Digbé is a water and forestry engineer for the Ivorian Ministry of Water and Forests. Prior to working at the zoo he was a forestry police in the region of Taï National Park. Digbé joined the Abidjan National Zoo team in 2011. In 2014 he became the first African recipient of the Behler Scholarship and attended the AZA’s Crocodilian Biology and Captive Management school at the St. Augustine Alligator Farm. While in the USA, Digbé had the opportunity to visit the San Diego Zoo and experience the great potential for what the Abidjan National Zoo could become. 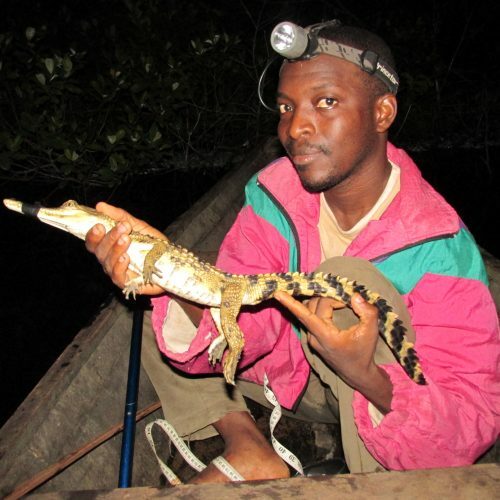 Michel is an Ivorian researcher with Project Mecistops who is using occupancy and species distribution-based modeling techniques with targeted surveys of slender-snouted crocodiles across Côte-d’Ivoire to assess the impact of different land classification regimes on crocodile conservation. This work forms the basis of his PhD research at the Université de Nangui-Abrogoua. Michel is very interested in a diversity of research topics, including conservation planning, endangered species, impacts of human activities on fish and wildlife resources, landscape ecology, and environmental education. Christine is an Ivorian researcher with Project Mecistops who is using radio telemetry to study the movement dynamics and habitat use of wild slender-snouted crocodiles to help better inform both reintroduction site selection and provide a baseline for comparing these same parameters in reintroduced juvenile slender-snouted crocodiles. This work forms the basis of her PhD research at the Université de Nangui-Abrogoua. 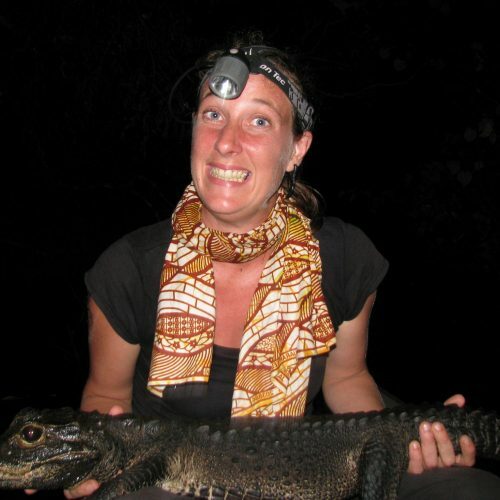 Christine is very interested in a diversity of research topics, including conservation biology, sustainable use and human-wildlife interactions, crocodilians, tortoises & turtles, and conflict resolution in wildlife conservation. 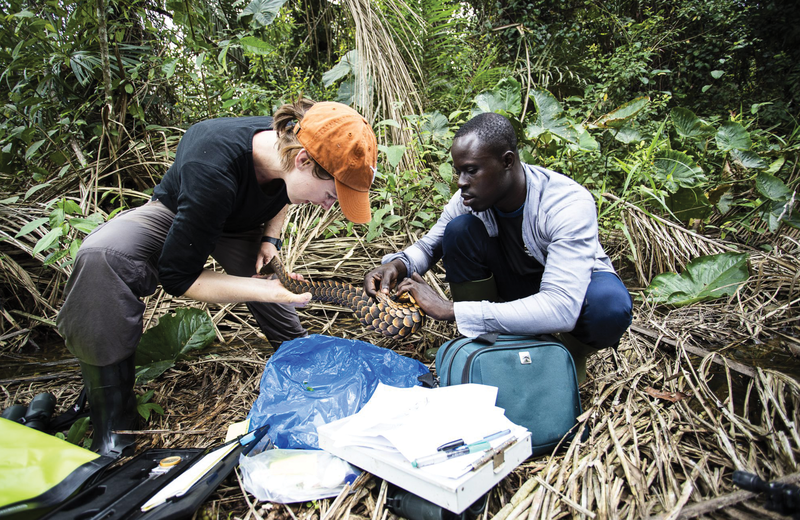 Mathieu is an Ivorian researcher with Project Mecistops who is leading our pangolin research program. 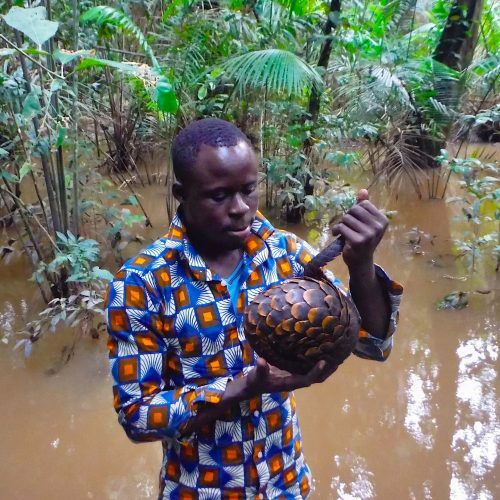 He is integrating ecology and sociology to better understand both how pangolins select and use resources, as well as the importance of pangolins for local communities. Mathieu hopes this work will establish the platform necessary to develop a national pangolin management plan. This work forms the basis of his PhD research at the Université Felix Houphouet-Boigny. The goal of our project is to ensure the future of the West African slender-snouted crocodile, and other rare and threatened species, in the wild by driving in-situ and iex-situ conservation efforts throughout their distributions. Sterrin is an MSc student with Project Mecistops, and recently completed her degree at Wageningen University. 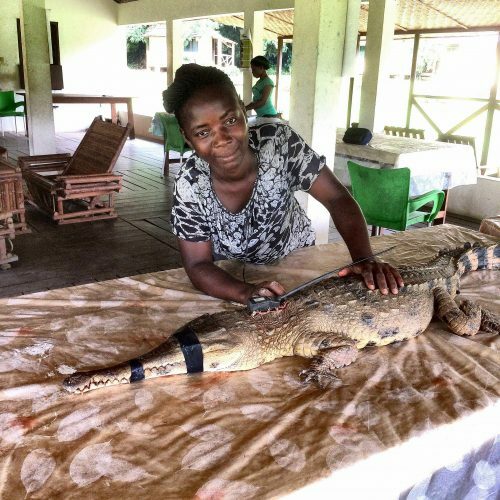 She is studying the effect of climate change on the distribution of the crocodilians of West Africa, including Mecistops using maximum entropy modelling to predict how the distribution of these species might change under different climate scenarios. 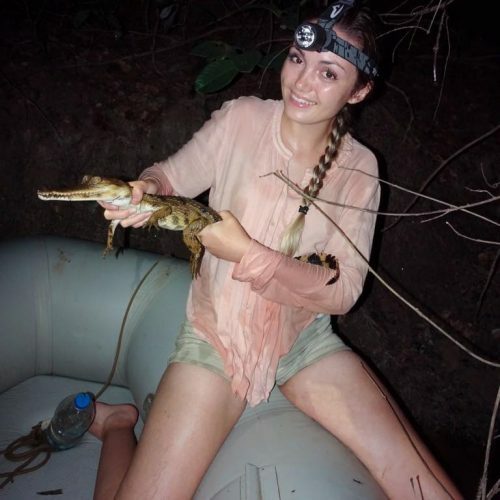 She is currently expanding these models to account for additional covariates, such as habitat and human growth-related variables to gain a more complete insight into the future of these threatened crocodilians. Aside the influence of climate change on species, Sterrin is also interested in movement ecology, the regulating role of mesopredators in the food web, and reptile conservation through education for a wide variety of audiences. Clement is an MSc student with Project Mecistops. 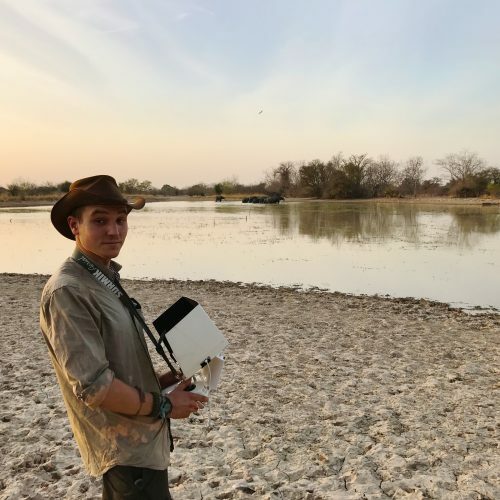 His crocodile research evaluates the use of drones for crocodile surveys in West Africa. He is comparing drone counts to standard crocodile monitoring procedures (e.g., night spotlight surveys). Clement is an up and coming scientist working on applied research and conservation projects mainly in entomology and herpetology in France and abroad. He is particularly interested in developing his knowledge and skills for scientific research and adaptation of technological tools for conservation purposes. The future of West Africa’s wildlife hangs on the passionate dedication of conservationists and researchers on the ground.  Get involved with us! We thank the people and organizations dedicated to crocodile conservation in West and Central Africa without whose support species conservation projects such as ours would not be possible. Join us! We invite students and established researchers alike to collaborate with us for the better understanding of crocodilians and other species in this region. The crocodiles, pangolins, turtles, tortoises, duikers, and pygmy hippos of West and Central Africa are some of the least known species in the world. We know so little of their ecology, evolution, interactions with humans and their importance to local people’s that protecting them is often a challenge. Come help us change that! 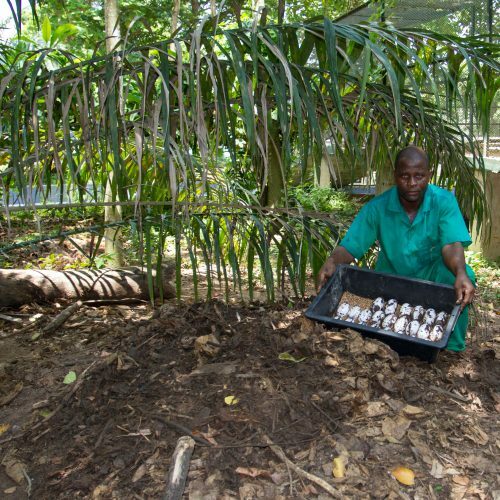 If you’re a zoo professional and you’ve always wanted an excuse to come to Africa – our captive breeding program needs your help! 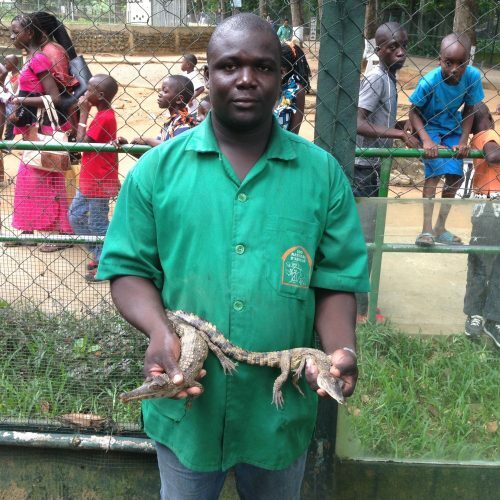 Work with our Ivorian zookeepers to not only care for our breeding colony and baby crocodiles, but ensure the sustainability of this program by developing their skills as zoo professionals. Are you a college student, zoo professional, or otherwise competent field person who always wanted to help on-going species research programs in Africa? Come help our Ivorian students and other field staff implement their projects! Are you good with your hands? Can you help us build enclosures, fix plumbing, construct insect traps, rewire our incubators? 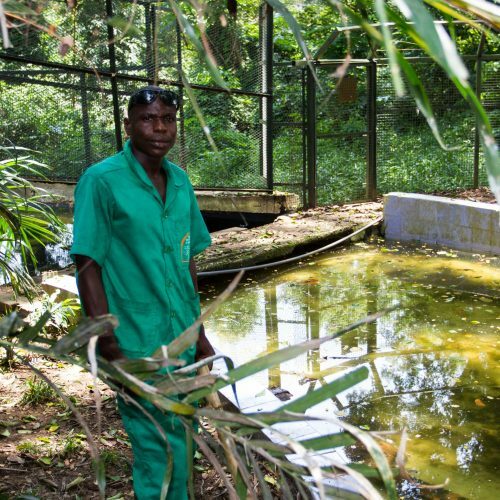 Come work with our Ivorian zookeepers to improve not only our crocodile breeding facilities, but help develop the Abidjan National Zoo into West Africa’s first and only endangered species breeding facility! Are you a photographer or videographer with media editing skills who always dreamed of helping publicize endangered species conservation efforts? Join us at the Zoo and in the field to help us make promotional materials and in return see wild Africa as only seen through the eyes of David Attenborough and the like! Are you crazy about social media, blogging, and websites? We’re conservationists – not publicists – help us reach out to the world using all these technologies that, quite frankly, our grandparents understand better than we do! 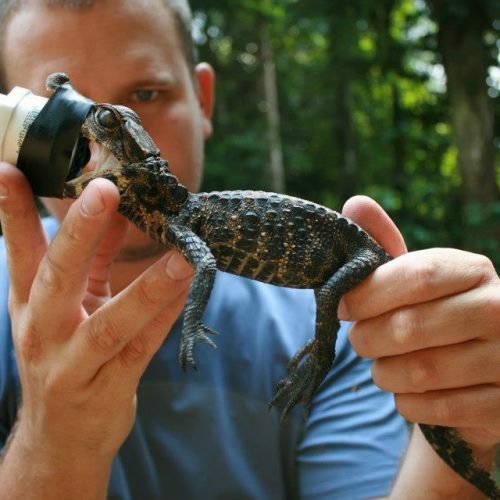 We know it’s unbecoming to beg – but even still these baby crocs have got to eat! So, if you don’t have the time or means to lend us a hand in Côte d’Ivoire, but you still want to support any of the amazing animals with which we work! © 2015 Project Mecistops. Developed by Regular Animal.